Click <Search> button on the Employees manager interface. <Search> - finds employees according to the specified conditions, the result will be shown under 'Search Results' node on the Employees Manager interface <Enter>. 3. 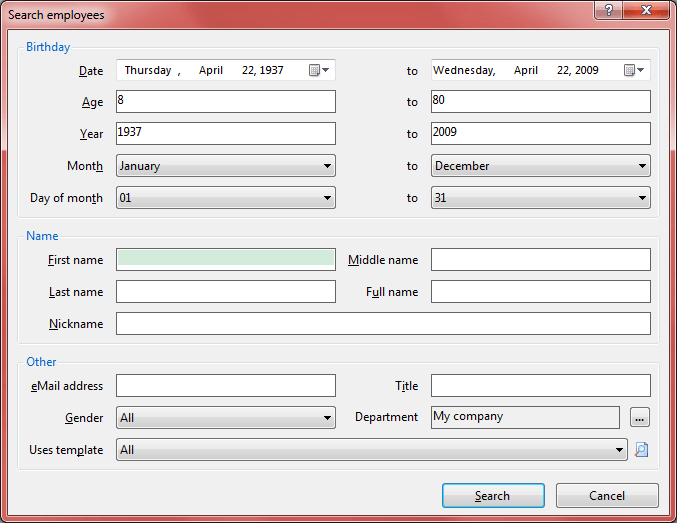 Specify [Department] to find employees under it and its sub departments.